The tall version of our mid-sized box! 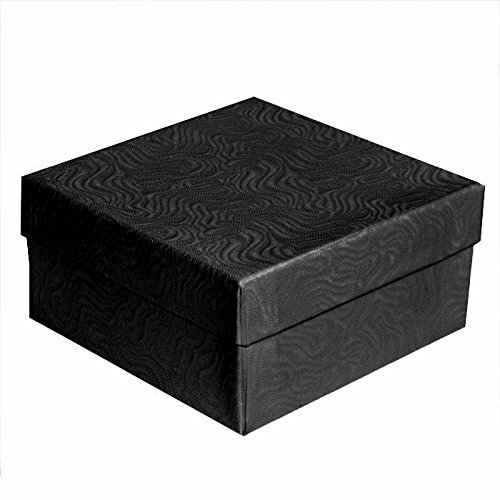 This box is a good option for items such as bracelets, pins, and pendants. Works well for thicker bracelets because of the extra inch in height. Box includes a cotton insert to keep your jewelry protected. These durable and attractive boxes are just what you need for packaging your jewelry. Size: Measures 3 1/2" x 3 1/2" x 2"H.
If you have any questions about this product by Gems on Display, contact us by completing and submitting the form below. If you are looking for a specif part number, please include it with your message.